Seeing as 99.9% of my beauty collection is a completely natural & organic zone now, it's pretty hard for me to narrow ANTHING down to highlight it for organic beauty week. To be honest I've just been a little overwhelmed with the whole thing and drawn a bit of a blank when it comes to posts for my blog. It's pretty much Organic Beauty Week every single week of the year over these parts, but I'm glad lots of other blogs are joining in to spread the love! We can sit round a fire afterwards and drink super green chia maca smoothies with herbal detox tea and raw brownies haha (I'd rather have the cooked gooey sugar loaded kind any day, sorry). I mentioned in my last post lots of british, soil association certified brands, but there are other forms of certification out there for brands all around the world, and also a lot of smaller brands that use really beautiful organic ingredients but haven't been able to afford to be certified. I thought I would mention a few more brands and their products that are all natural and from a far distant exotic land that I one day wish to live in (america duh). It was hard to know where to begin so I selected the products that I have been using a lot this week..
First up we have 100% Pure and their new Under Eye Corrector* which I've been loving, & oh boy it is so good for those dark circles, the yellow completely neutralizes them yet is sheer enough to not leave you looking like a simpson, perfect. I am completely enamoured with 100% Pure and have fallen in love with quite a few of their products now with so many more on my wishlist! I'm so glad we can buy their products in the UK without having to worry about customs! I completely ran out of any and all of my mineral makeup the other week and have had to go back to using the RMS 'Un' cover-up to hide my blemishes (it sounds like I'm being forced but promise I love it) it's a little too oily for my skin but it sets really nicely under powder and looks completely natural. I think if I ever run out I'll probably pick up the newly released paler shade, as ol' ghostie over here can always do with a slightly paler shade. I have a little growing stack of RMS products at the moment and they're definitely one of my fave makeup brands. If you're looking for the ultimate treat than Kjaer Weis is for you, their makeup is refillable too so once you've made the initial investment you can rest easy it wont cost you that much next time (unless you want another silver compact). As for skincare I'm sure you've heard that Odacite recently launched their dreamy Pure Elements range in the UK this month, both at content and cult beauty! very swish. I've had a little travel set of theirs to test this month and it's quite lovely. Unfortunately the rest of their skincare isn't available here yet.. 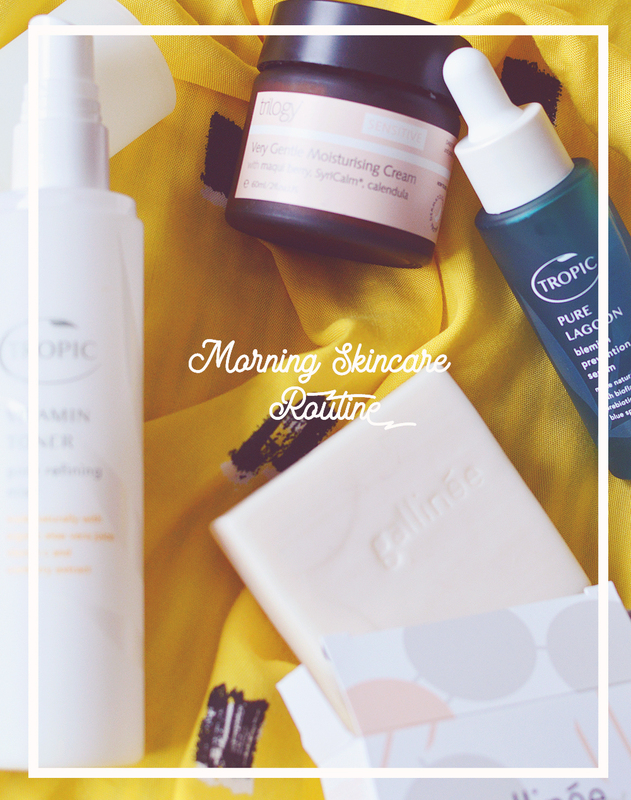 I don't know if it will but fingers crossed as the Rose & Neroli Toner and Beautiful Day Moisturiser are reaaaally nice. Really really nice. Fig + Yarrow are available in a few places in the UK but are still difficult to get hold of as they're no longer stocked on Cult Beauty. I've always wanted to try their deodorant lotion so may have to order from the US! I've become obsessed with their scalp tonic* recently as my scalp is freaking out and has become so irritated and uncomfortable. This treatment is so soothing, I use it once a week but would prefer to have it on my scalp every minute of every day as there's no feeling of itching or pain when it's on. If only oily roots were a thing. Have you heard of or tried something from these brands before? I love the look of the hair and scalp tonic, it sounds so good! 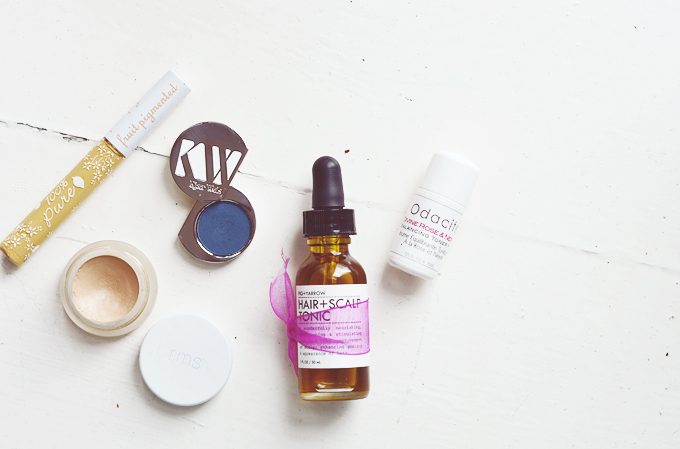 RMS Beauty, Kjaer Weis, and Odacité are three lovely brands I adore and want to try more of! Odacite sounds really lovely but it's so expensive for a tiny 5 ml bottle! cannot get my head around that! I love the packaging of that shadow!